Sure XM Satellite Radio sounds great - but how does it look? 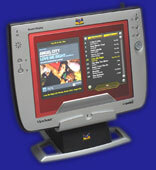 Cinemar continues its tradition of delivering great-looking user interface solutions with the introduction of XMLobby. You'll enjoy cover art for the currently playing song (when available) as well as entire Album information where the song originated. We've gone one step further and allow users to actually purchase the album - so you can add to your MusicLobby library for future listening at your own convenience. Never forget that favorite song again! Control your XM Satellite Radio from anywhere you have a networked PC - which means you'll have access from the Kitchen or the Rec Room. XMLobby also keeps tracks of the channels you listen to most often. Or create categories for each member of the family. Looking for songs by a particular artist? 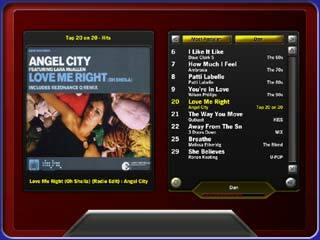 XMLobby will alert you the next time their song is playing and allow you to jump directly to that channel. As with all of the Cinemar products, you can customize XMLobby using MainLobby's vast graphics library. Start seeing XM Satellite Radio in a whole new way.